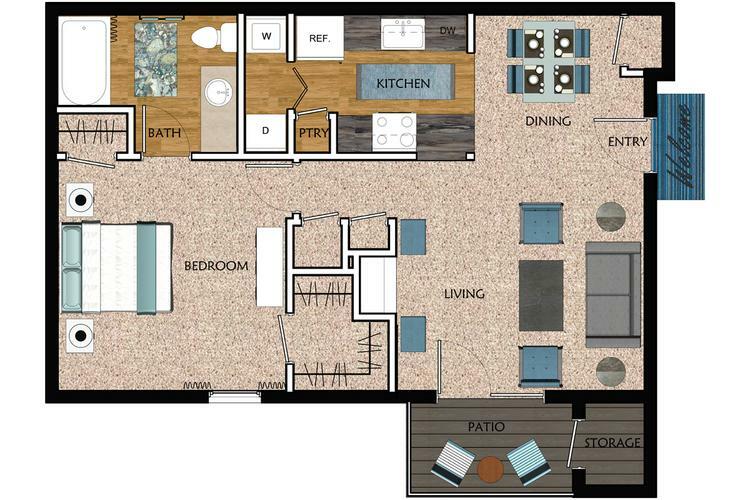 The Cove is our one bedroom, one bath, open-concept floor plan. With a beautiful, galley-style kitchen that opens up to the most expansive living space, this floor plan is made to entertain friends and family-alike. This 1 bedroom apartment in Biloxi, MS also comes equipped with w/d appliances, large walk-in closets, the warmth of a fireplace, and outdoor storage!